AGRICULTURE Minister Clarence Rambharat says scarlet ibis numbers have possibly increased in the Caroni Bird Sanctuary but the risk of poachers remains. "All reports based on observation and based on the tour operators and other people who are familiar with the Caroni Bird Sanctuary and visits to the nesting areas over the last two years point to no significant reduction and possibly an increase in the population of scarlet ibis. Having said that, the work of the poachers and their ability to remove hundreds of birds in one day is always a risk and that is why we believe the $100,000 fine and increased enforcement should serve as an appropriate deterrent." 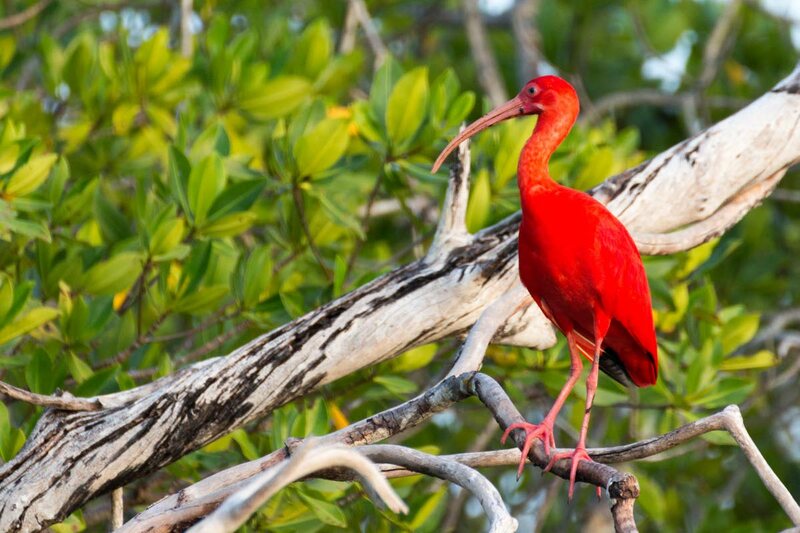 He was responding to a question in Senate Tuesday from Independent Senator Paul Richards who asked how efforts to protect the scarlet ibis have impacted on the population. He said the most important measure taken for the protection of the scarlet ibis is the declaration of the bird as an Environmentally Sensitive Species under the Environmental Management Act under legal notice 143 published October 2018. He said other measures included programmes to educate the public about protection measures in place for the bird and the importance of the scarlet ibis to biodiversity, conservation and economic activity in and around the Caroni Bird Sanctuary. Reply to "Rambharat: Possible increase in scarlet ibis population"